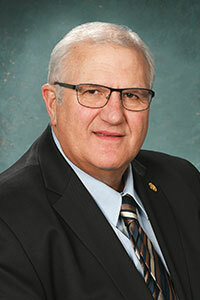 LANSING, Mich. — Sen. Dale Zorn has announced that he will conduct a district coffee hour in Milan on Tuesday, April 11. The coffee hour will be held from 5 to 6 p.m. at The Morning Owl, 9 W. Main St. in Milan. 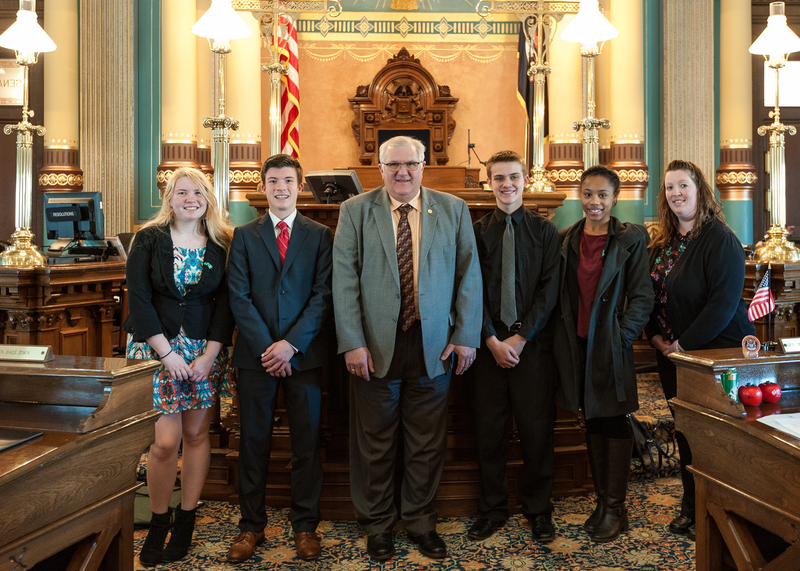 LANSING, Mich. — Sen. Dale Zorn, R-Ida, recently welcomed Monroe High School students Starlyn Higgins, Travis Lenta and Nick Bradburn to the state capital. The students presented Zorn with a “Thankful for Our Michigan Roots” sign they made in their welding classroom. The sign is on display in Zorn’s Senate office. 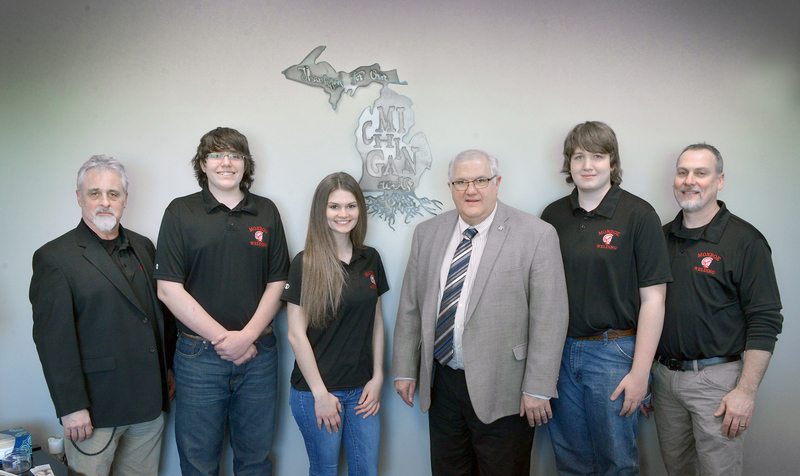 Joining the students were their instructor Glenn Zorn and Career and Technology Education Director Bill Ferrara. 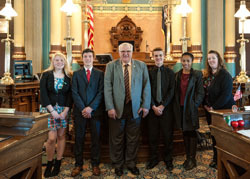 LANSING, Mich. — The Michigan Senate on Thursday approved Sen. Dale Zorn’s legislation to allow the use of corner flashing lights on emergency vehicles as an option to rotating or oscillating lights attached to the roof. Modern ambulance and rescue vehicles can have blind spots when rotating lights are attached to the roof. For decades, these vehicles have been using corner lights that meet the state’s visual requirements but their use has not been codified in state statue. Senate Bill 46 would eliminate the current Michigan requirement that flashing, rotating or oscillating lights on emergency vehicles be mounted on the roof of the vehicles. The bill would allow corner lights to be used on ambulance and rescue vehicles as long as the lights meet the requirements of being visible 500 feet away and from 360 degrees around the vehicle. Roof-mounted rotating lights may continue to be used as long as the requirements are met. SB 46 has been sent to the House of Representatives for consideration. 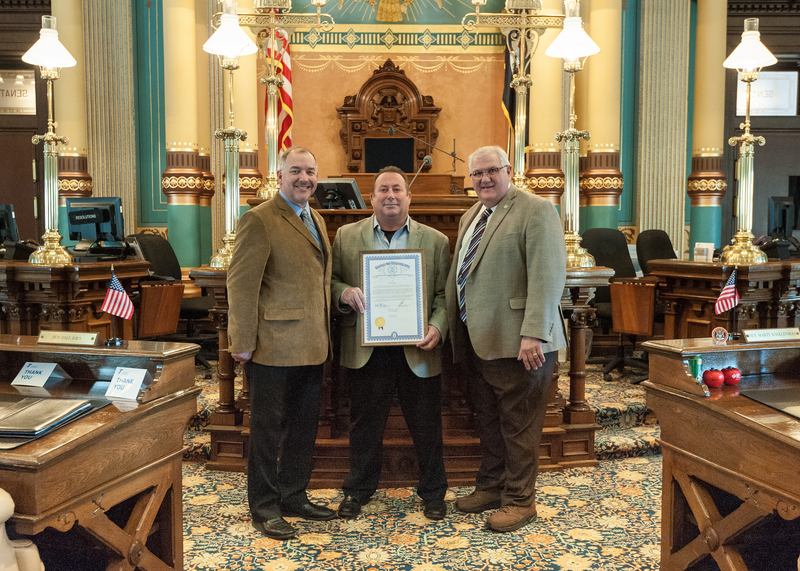 LANSING, Mich. — Sen. Dale Zorn, R-Ida, and Rep. Joe Bellino, R-Monroe, welcomed Rick Becker to the Michigan Capitol on Tuesday. Becker is vice president and general manager of Stoneco of Michigan. 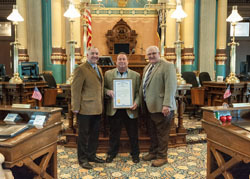 He was recognized by Zorn and Bellino on Tuesday for recently becoming chairman of the Michigan Aggregates Association. Editor’s note: The above photograph of Zorn and Bellino with Becker is available by clicking on the image or by visiting www.SenatorDaleZorn.com/Photowire. LANSING, Mich. — The Michigan Senate has approved Sen. Dale Zorn’s resolution calling for federal action on a solution for safe storage or reuse of spent nuclear fuel. “The federal government was supposed to start storing spent nuclear fuel in a permanent site years ago, yet today the spent fuel continues to be stored at more than 60 temporary sites around the country, including here in Monroe County,” said Zorn, R-Ida. “The U.S. Department of Energy continues to skirt its obligations to the American people. Their inaction to safely store this nuclear waste in a long-term facility or provide a manner to reuse or reduce it continues to unnecessarily put the safety of our local communities at risk. The Senate also approved SCR 6 and SCR 9, both co-sponsored by Zorn. SCR 6 calls on Congress to appropriate funds from the Nuclear Waste Fund to build a permanent repository for high-level nuclear waste or reimburse electric customers who paid into the fund. SCR 9 urges the president and Congress to explore and support policies that will lead to the establishment of facilities in the U.S. for the reprocessing and recycling of spent nuclear fuel. 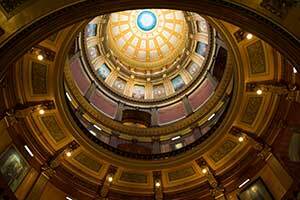 All three resolutions now head to Michigan House of Representatives for consideration. LANSING, Mich. — Sen. Dale Zorn has announced that he will conduct district coffee hours in Bedford on Saturday, March 11 and in Ida on Friday, March 17. The Bedford coffee hour will be held on Saturday, March 11 from 1 to 2 p.m. at the Bedford Business Association’s 34th Annual Trade Fair at Bedford High School, located at 8285 Jackman Road in Temperance. Zorn will be at the fair at various times during the weekend, but he is making a point to be at his booth on Saturday from 1 to 2 p.m. to meet with constituents. The Ida coffee hour will be held from 9 to 10 a.m. on Friday, March 17 at Old 23 Grill, located at 3168 Lewis Ave.
To respect other patrons of the trade fair and the restaurant, no town-hall style discussions will be entertained. No appointment is necessary.